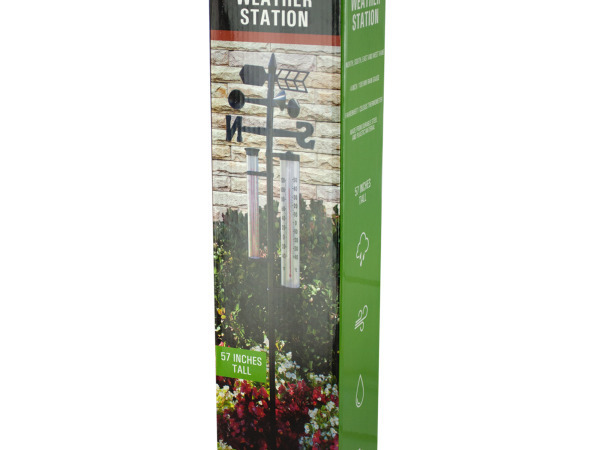 Track the weather from home with this 4 in 1 Weather Station, a multi-functional weather measuring device made of durable steel and plastic with a stake for placing in gardens. 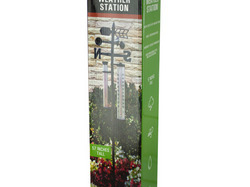 Useful and attractive design features a directional weather vane, a 4 inch/100mm rain gauge and a Fahrenheit/Celsius thermometer. Measures approximately 57" tall. Comes packaged in an individual box. Box measures approximately 4.25" x 3.625" x 17.5".